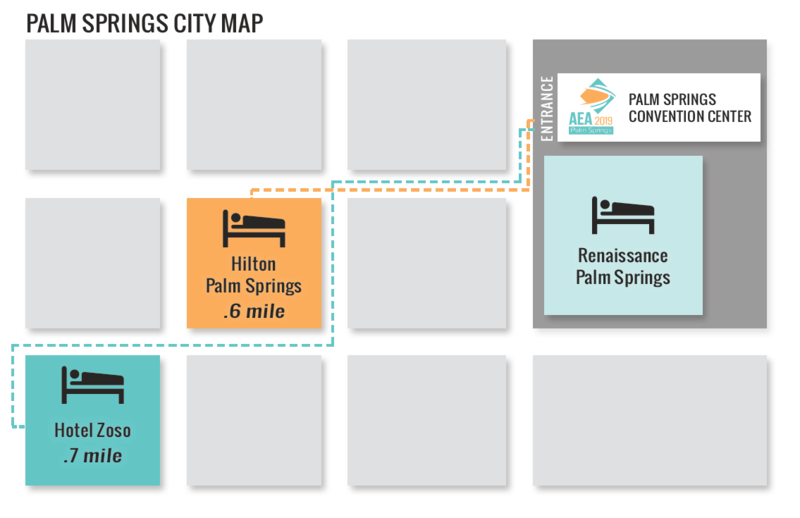 The AEA has contracted with three hotels that are within walking distance of the Palm Springs Convention Center! Hotel is currently sold out! 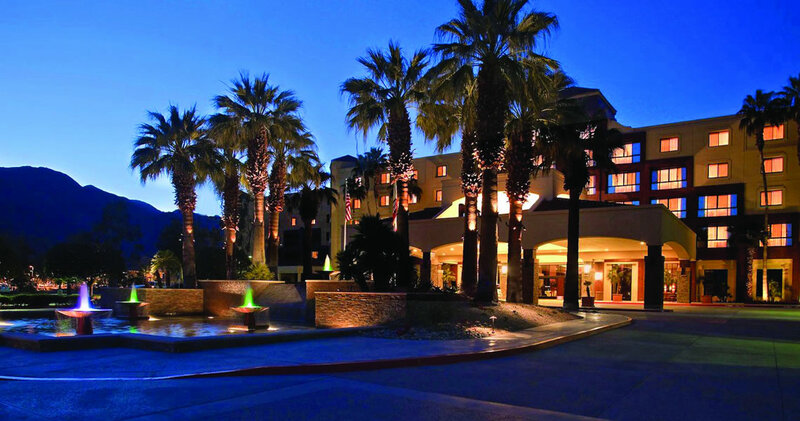 The AEA headquarters hotel and conveniently attached to the Palm Springs Convention Center. Only one block from the Palm Springs Convention Center. 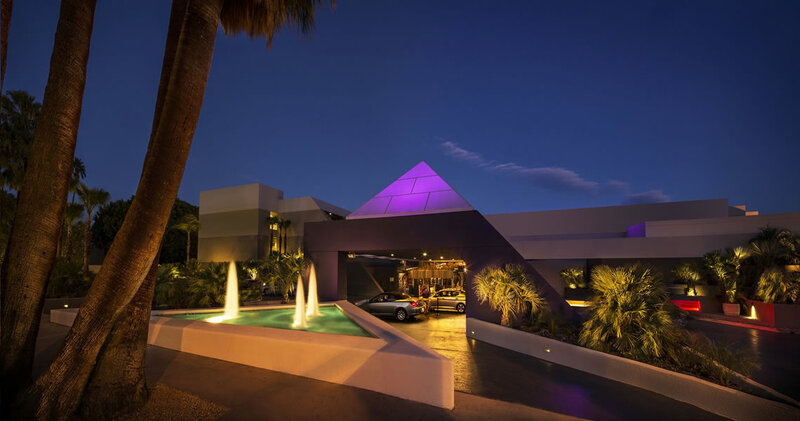 The hotel is only 1 mile from Palm Spring International Airport and walking distance to many popular attractions including shops, galleries, museums and nightlife. Close to championship golf tournaments, Coachella Music Festival, Tour de Palm Springs and more. Only three blocks from the Palm Springs Convention Center. 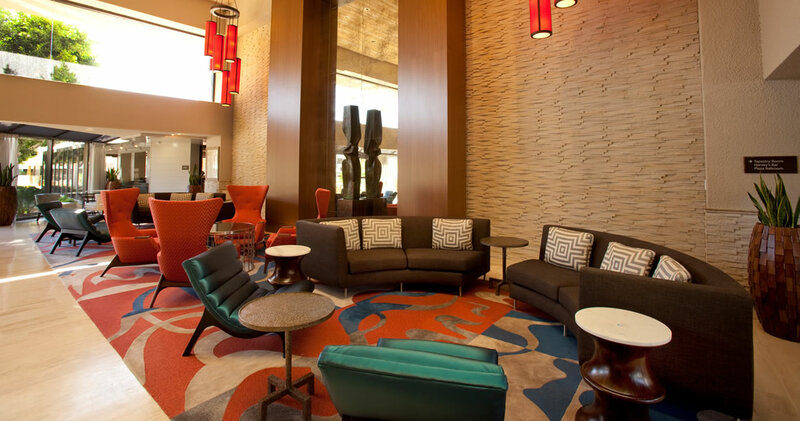 Check in and unwind in one of our spacious rooms or gracious, modern suites. We’ve got 163 of them all with more than 475 square feet to spread out so, go ahead and bring your friends. Some rooms offer balconies or terraces, others open up onto the pool or offer views of the San Jacinto Mountains. We’re even pet friendly. You really can’t go wrong. We’ve got something for everyone.